Head coach Sean McVay of the Los Angeles Rams leaves the field after winning the NFC Divisional Round playoff game against the Dallas Cowboys at Los Angeles Memorial Coliseum on January 12, 2019. “He understood the whole offense and he was a great leader,” said Montgomery. 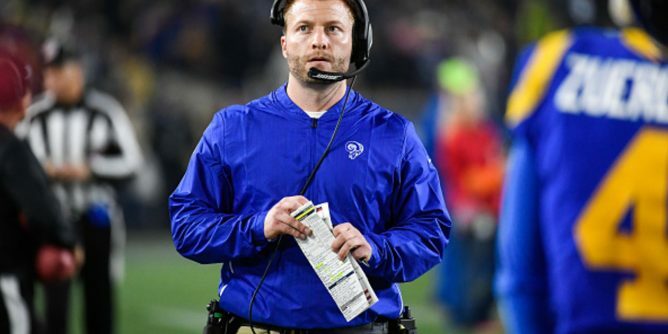 After graduating in 2008, McVay connected with long-time family friend Jon Gruden, at the time the coach of the Tampa Bay Buccaneers. He offered McVay an entry-level job with the team as a gopher.